Lycée Français de la Nouvelle-Orléans has leased the St. Francis of Assisi school building at State and Patton in Uptown New Orleans as its new location, according to an announcement made early Monday. The French-immersion charter school opened this year with two sections each of 3-year-old pre-kindergarten, 4-year-old pre-kindergarten and 5-year-old kindergarten — with three of those classrooms at Audubon Zoo and three at First Presbyterian Church on South Claiborne. The school plans to add two new sections of kindergarten (with the possibility of more, based on demand) and two sections of first grade next year, and officials predicted last week that the building would accommodate the school’s year-by-year growth for at least five years. The one-year lease for the space at the zoo is likely to end next year, officials have said, but have not yet described how the remaining classes and office space will be spread between the two church buildings. The school building is in use this year by Milestone/SABIS Academy, but that school has not made its plans public. 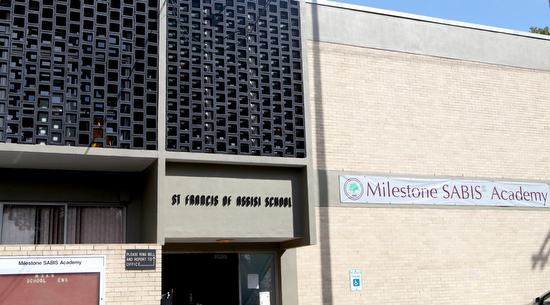 We are delighted to announce that Lycée Français de la Nouvelle-Orléans has entered into a long-term lease with St. Francis of Assisi Church at 631 State Street that will allow us to move into St. Francis’ adjacent school facility in July of 2012. This beautiful Uptown location offers a building that is in excellent condition and can accommodate 500 students or more, thus providing Lycée Français with plenty of room to expand our elementary school as we add higher grades each year and welcome growing numbers of Louisiana students of all backgrounds. From spacious classrooms to a fully equipped kitchen and cafeteria, our new facility features all of the amenities needed to provide a world-class French-language education in a comfortable, stimulating setting. We have established an excellent rapport with officials at St. Francis and look forward to a long and productive relationship. Stay tuned for further details, including information about which classes will be located at our new facility in 2012-13. Anybody know what the deal is with the current school that’s there? Are they moving, collapsing, etc.? This was news to SABIS. They are shocked and not happy. Yes, I would like to know, as well. Where does the Arch Diocese or RSD plan on moving a school that has over 400 children? This could be a real mess. My husband went to church on Sunday and the Priest said it was a decision made by both parties. SABIS outgrew the space from my understanding. On a side note, it is really sad to see how the French Education Community ( I’m talking about the parents) has become so ugly. It just makes me really sad. I love the French Schools and my kids are blessed to be at two of them.